Looking for something cool, refreshing, and healthy to sip by the pool or for your kids to sell at their stand? We have the perfect healthy summer drinks for you! First up was a Watermelon Agua Fresca that lets you drink your favorite summertime fruit. 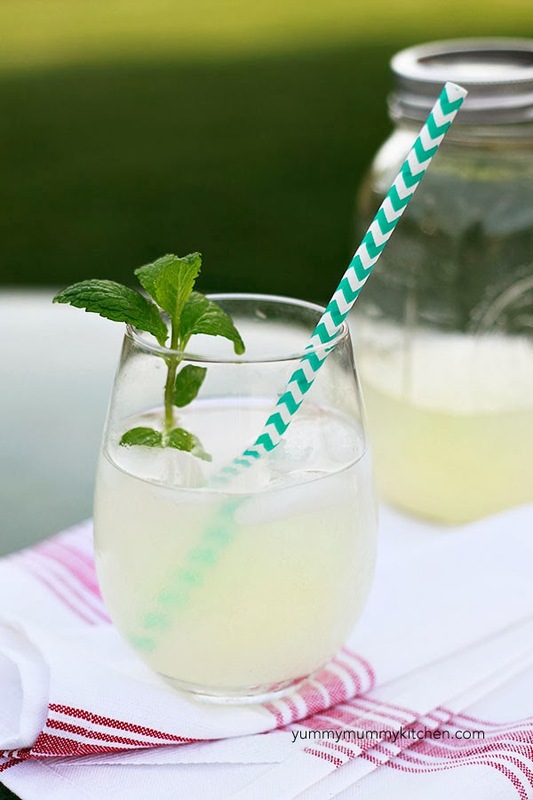 This Sugar-Free Lemonade also tastes great made with sparkling water, and it’s much better for you than soda. Honeydew and Raspberry Agua Fresca is refreshing way to drink your fruit. This Homemade Strawberry Lemonade will be everyone’s favorite summer drink, so it’s a good thing it’s a big batch. Sparkling Mint and Blackberry Agua Frescas are such a pretty drink that they’re sure to impress the guests at your next summer party. Vanilla Berry Lemonade is a more sophisticated take on the classic childhood drink. This Peach Agua Fresca is the perfect drink to enjoy beside the pool or on picnics, and the jalapeño garnish adds the perfect kick. Before the 4th of July, we featured some important fireworks safety tips each day this week. Always start by reading all of the labels and info on your fireworks carefully. A responsible adult should always supervise any firework activities. Never just give fireworks to kids. Alcohol and fireworks don’t mix. Save any drinks for after the show. Always wear safety glasses when shooting off fireworks. Never relight a firework that you think is a dud. Wait 20 minutes and then soak it in a bucket of water to make sure it doesn’t go off later. Don’t carry fireworks in your pocket or shoot them out of metal or glass containers. NEVER make homemade fireworks. Throw away used fireworks by wetting them down in a metal trashcan away from buildings or anything that could catch fire until the next day.